To see the full list of maps go to our Interactive Maps for the North Bay Region page. There is a new interactive map for our region. 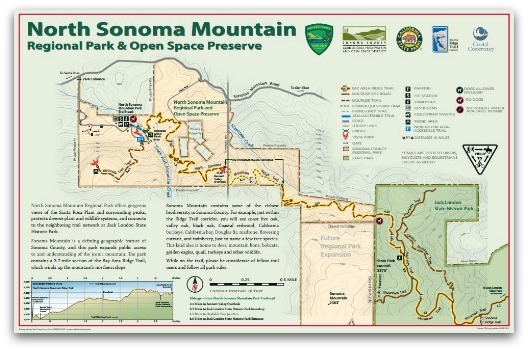 This one was created by Axis Maps for the Napa Valley Vintners. To view the map go to http://napavintners.com/maps/. Axis Maps also has a blog post about some of the design workarounds to get it to work in the mobile environment. Thanks for a great Mappy Hour! On Wednesday, January 28th we had our first Mappy Hour at Griffin Map Design. Esther Mandeno of Digital Mapping Solutions did a great write-up on it at http://digitalmappingsolutions.com/2015/01/30/mappy-hour/. So rather than repeating her words we are just going to say thanks to all who attended and look for another one in the months ahead. Come join us for our first ever Mappy Hour! You might be asking yourself, "What is Mappy Hour?" Mappy Hour is an opportunity for GIS and Mapping folks to get together for a good time... and talk maps. So come join us at Griffin Map Design in Petaluma on Wednesday, January 28th from 6-8PM. Our host Scott Lowrie will be giving an introduction to Mappy Hour and Griffin Map Design. Then Kevin Lacefield will give a short talk about what the upcoming year will hold for the North Bay GIS Users Group. 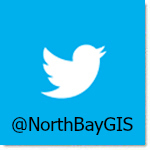 We have created a Twitter Account to help you keep informed on the latest North Bay GIS news. Go to https://twitter.com/NorthBayGIS to follow us. Also, don't forget to join in the conversation over on our LinkedIn Group. The County of Marin is currently recruiting for the position of Senior Geographic Information System Analyst/ Geographic Information System (GIS) Analyst II. The Senior GIS Analyst serves the GIS program through GIS application development, data development and maintenance, project implementation and technical support/training. 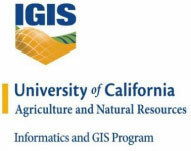 The GIS Analyst II performs professional-level GIS work related to the development and implementation of systems, databases and scripts to create, maintain, display and upgrade a County-wide geographic information system. The County of Napa is currently recruiting for a GIS Technician, Extra Help position. This is a part-time position with approximately 20 hours per week at $24.11/hour. The primary job duties will be performing data maintenance on our framework datasets such as roads, addresses and parcels. We use Esri software and the Local Government Information Model (LGIM). Specific experience with the LGIM structure and associated apps is desired, but not required. Please refer to the County’s website for additional details and an application.